← The Neverland Wars by Audrey Greathouse Book Blitz: Excerpt & Giveaway! Sammy Jo may be strong, fast and tough, even in heels, but she gets into trouble when she fights some local thugs to save a rich boy named Gregory. Now bad guy McCloud is after her – and he’s even more dangerous than her forbidden love for Gregory. 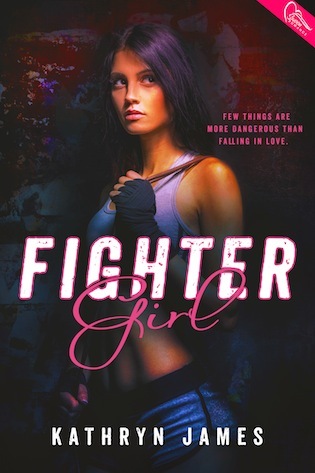 Fighter Girl was published in the United Kingdom under the title GYPSY GIRL. My beautiful bridesmaid dress is soaked in blood. Bright crimson patterning the white. The hem ragged and torn. The tulle skirt missing and the strapless bodice ripped. My tiara is long gone. My hair stiffened with dried blood, not mousse. My legs are crumpled beneath, unable to move. I’m like a ragdoll. I’m lying here in this circle of trees by the black water. They call it a beauty spot. I can’t see any beauty today. Only death. The magpies warned us. Gregory is beside me, his sun-streaked, fair hair red with blood, his face white as a ghost. Shocked and injured again. It’s my fault. I want to hug him, hold him close, tell him I didn’t mean to let this happen to him. But I can’t move. Anyway, he probably hates me. Is it over? Don’t ask me. In the distance, I can hear emergency sirens. Has everyone found out? Has my daddy? His name is Samson Smith. He comes from a long line of champion fighters. My name is Sammy-Jo Smith. I’m the only girl to have inherited the Smith fighting skills. Sometimes I love it, but now I hate it. I’m too fast, too strong, even in my Jimmy Choo heels. It’s brought me here, to this place of death. 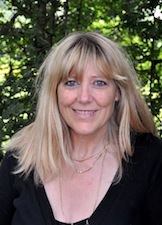 Kathryn lives in Leicester with her family, writing full time (and loves that!) Kathryn always wanted to become an author and wrote her first story at age eight. But it took quite a while and lots of different jobs before she got published. She’s worked with gypsy and traveller children, working from a converted bus with a rainbow on the side, doing video and photography projects, and documenting travelling lives. Mist draws on and is influenced by her work with this community. She’s also written scripts for a local video production company, many of them for children and teenagers.